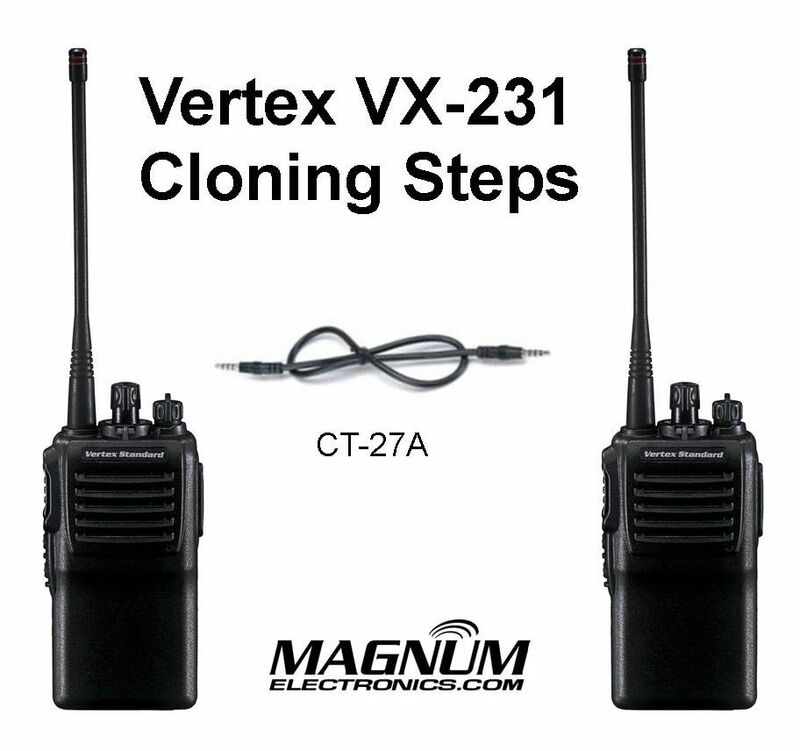 How to Clone a Vertex VX-231 | Magnum Electronics, Inc. The Vertex VX-231 radio model includes a radio-to-radio cloning feature that makes it easy to add new radios to your existing fleet. All you need is a Vertex CT27A cloning cable and identical VX-231’s on the same frequency band split. Press and hold the “Side 1” key and the “PTT” key while turning the radio ON. The LED will quickly blink green and red then go out. Press the PTT button once to put the radio in “CLONE” mode, the LED indicator will glow “Orange”. Repeat steps 3 and 4 on the other radio. To switch the destination radio to receive data, press the “Side 1” key. Then the LED indicator will glow “Green“. To switch the source radio to transmit data, press the “PTT” key. Then the LED indicator will glow “Red“. If the cloning is successful, the LED indicator will go out. Cloning will transfer transmit and receive frequencies, privacy codes, channel power levels, narrow or wide bandwidth, and other programmable features. It cannot change a radio from VHF to UHF or a UHF low split to the higher split. 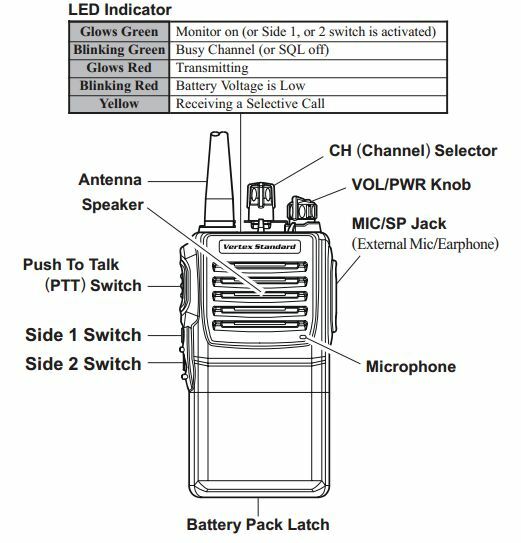 This entry was posted in Portable Radios, Tech Tips, Vertex-Standard and tagged 2-way radio, clone, communications, CT27A, Vertex, VX-231 by magnumelectronics. Bookmark the permalink.